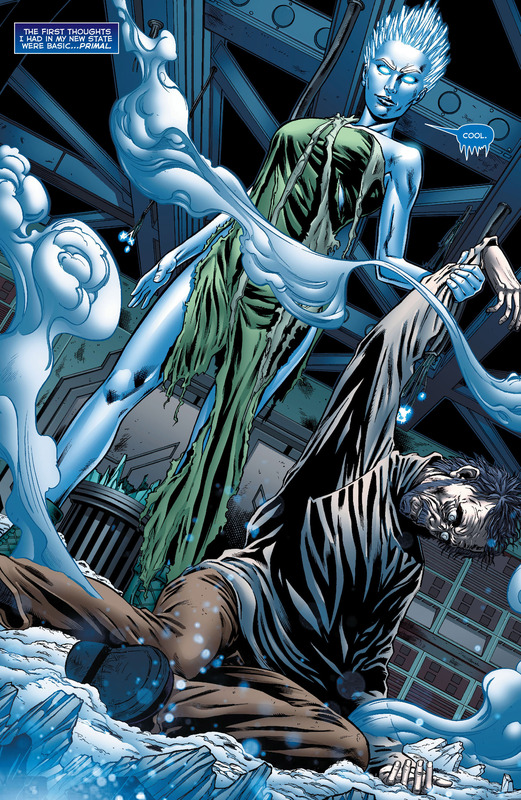 Captain Cold returns with a new ally and a plan to draw out and eliminate the Flash. Meanwhile, Caitlyn is looking for answers about "Firestorm." Flash and the Rogues have a fun-but-nonsensical fight (he couldn't just punch them...why, exactly?) that wins over the hearts and minds of Central City's finest, even Eddie Thawne, possibly signaling the end of that anti-Flash task force. Caitlyn finds out that "Firestorm" isn't just a description of Ronnie's superpowered form but a (hilarious) acronym for a superscience project to transmute matter, and meets grad student Jason Rusch, who fills her in on the details -- as well as the fact that project head Martin Stein has gone missing. Hmmmmm. This episode also gives another hint in support of the theory that Dr. Wells is a speedster rather than your garden-variety time traveling superhero mentor and recreational stabbing enthusiast, as he prepares to stand up and help Barry during a live-fire training exercise. Well, yeah, if the yellow suit in his closet didn't tip you off. I'm enjoying this show a great deal, but sometimes it does something so incredibly stupid that I just have to stop and roll on the floor for a minute before I can continue. The Firestorm acronym was one of these - it would have just been stupid, but what put it over the top into hilarious stupid was figuring that out because someone said "Scuba." Another was in the Arrow crossover where Oliver and pals come to Central City tracing some boomerang weapon because they detected traces of iron oxide on it, and Central City has the highest concentrations of iron oxide. So... rust? I guess Central City must be somewhere in the rust belt. I guess that makes sense. The use of perfectly ordinary terms as technobabble is at least a genre convention. I'll bet there's a case of dihydrogen monoxide poisoning the comics somewhere. Really, though, how hard would it have been to throw in a line about impurities in the steel identifying the part of the country it was cast or the factory process used or something? Looking forward to the rest of the cast of Prison Break getting work. Amaury Nolasco for Mirror Master! Wade Williams for Captain Boomerang! We already met Captain Boomerang! He's from Spartacus. There was a bunch of dialogue and acting that was so over-the-top and dumb that I was getting very annoyed but kept trying to convince myself that it was okay because the show is aiming for that tone. It didn't quite work. I think this episode marked the point in my life where I have officially hit my complete lifetime quota of damsel in distress. If I never see it again, that'd be fine. The only reason I would've been okay with Caitlin getting kidnapped by Captain Cold is if it was going to lead to some kind of accident with the cold gun that would have lasting consequences. (And presumably see her freeing herself.) But nope! Instead it was just kind of a throwaway subplot that could've pretty easily been left out entirely. Also, yeah, technobabble and all, sure, but "absolute heat" was so, so, so nonsensically bad that not even the amusing Ghostbusters stuff that followed could make up for it. About the only redeeming scene was the one at the very end of the episode where Barry moves back in . "I am a millenial, after all..."
Oh god, how did I forget absolute heat? That was indeed where my friend and I had to pause the TiVo and just shake our heads for a few minutes. Apparently I used that time to ruthlessly suppress the experience. Though yes, the Ghostbusters bit was cute. I totally forgave them for "absolute heat" because he immediately explains it as "just the hottest the material will go" (not a literal quote) which is, scientifically, a stupid thing to say, but pretty defensible for this kind of TV show. The climactic fight between Flash and Captain Cold and Captain Fire (or whatever he's called) was pretty grating, though. I've said this before, but Flash is an incredibly bad tactician (or has to be for the villains to pose any threat whatsoever) -- his MO for approaching a fight seems to be "run superfast until you're about 30 meters away from armed villains, then stop, then never use your superspeed to close to melee distance despite the fact that you're unarmed and they have magic guns" which is just pure dumbassery. I honestly think this show would be somewhat redeemed by Cisco accidentally offing himself in spectacular fashion, but then who would Name All the Villains™? With last night's subpar Flash plotting and Sleepy Hollow showing off its visual effects budget instead of its superb, endearing-yet-wacky scriptwriting superpowers, I feel like all my favorite WTF???? shows are going to get themselves canceled sooner rather than later. The only redeeming moment, for me, was the "Bros Before Foes" dive that Eddie made to save Flash!Barry, knowing that it might get him killed. This may be some clever misdirection about Eddie not actually being Eobard Thorne/Professor Zoom from the comics, but man, I'm not comfortable giving this show the benefit of my doubt. "garden-variety time traveling superhero mentor and recreational stabbing enthusiast"
I think the usual thing with Cold (in the comics) is that he shoots the ground, making it too slippery to run on, and then that's why the Flash is slowed enough to get hit directly. It would make more sense than Barry's current "I forgot to dodge" tactics he's been using. 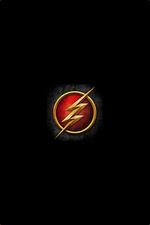 The Flash exists in a universe that includes "speed" as a fundamental physical force. I'll allow it. When the show started, I would have seriously considered supporting a Kickstarter to find that actor another job so Cisco would have to leave, but I'm actually super okay with him now. They've toned him down, he's found a consistently non-annoying role on the show, hell, he's even actually funny fairly often. Cisco definitely gets the Most Improved award for TV superhero shows for 2014-2015. This episode wasn't the show's best, but I feel like it's found it's feet quickly and it would be a shame for it to be cancelled at this point. They're renewed it for a second season so Barry & Co are safe for now. I am super pleased it is back. I needed my superhero brevity and fun back as I slog through these cold dark months. This episode was pretty goofy, but I feel the same way: I would prefer some fun superhero romps on television, rather than nonstop grim-n-dark. Whatever the show's flaws, (and it's a comic book property: these will be numerous), I really like that Barry *likes* being The Flash, and that the overall tone of the show is upbeat. The only reason I would've been okay with Caitlin getting kidnapped by Captain Cold is if it was going to lead to some kind of accident with the cold gun that would have lasting consequences. That was a wasted opportunity, and the 'Damsel in Distress' thing really is tiresome. Oh man, I hadn't thought of The Invisible Man in yoinks! My husband was telling me that Caitlin shares the same name with another cold power-related villainess in The Flash universe, so he's wondering if the show will ever go there. Given that Caitlin Snow is specifically a Firestorm villain, I'm leaning towards "absolutely yes." He hopes so too but then I rely heavily on his decades of comic book knowledge to tease out things I miss when watching these kinds of shows. That just makes a connection, though his vibro-voice in that scene pretty well indicated something. But we haven't seen him exhibit any powers at all other than that (Cisco: "Captain Vocoder!") so we don't know if he has some or if they're functional or possible without wearing the suit. So the take-a-step (which was just moronic - you don't trust Cisco not to kill him or for him to heal?) did represent some new information. I am not sure what it was but I was beyond tickled by Wentworth Miller's performance in this episode. It managed to be cartoony AND good acting. When was the last time you saw someone actually sell the "no, we need to do this thing and attack the good guy rather than just do our crime" shtick? I don't see how we get around the idea that Dr. Wells is the other speedster given that suit. (what, somebody planted it there?) Sure we saw them in the same place at the same time and the Reverse Flash beat Dr. Wells senseless, but he's a time traveler so he can do things like that. Based on my very limited comics knowledge I'm pretty sure that running so fast that you break the time barrier is a pretty standard Flash thing so eventually Barry can and will do so as well. The part that isn't clear to me is what Wells' game plan is. Is he on the Flash's side or against him? Apparently he killed Barry's mother, but they've finally figured out what should have been obvious to viewers all along, that there was also a red-suited speedster there that night along with the yellow one. Unless we've now got three different fast guys (and really, Barry and company should be wondering how many freaking speedsters there are at this point) that suggests that the red streak was Barry himself, presumably trying to save his mother once he figures out how to time travel. So my guess would be that Dr. Wells (all versions of him) is a villain, but one who is ultimately trying to protect his timeline and that means making sure Barry grows into the Flash of the future that he knows. Note the future newspapers that refer to the Flash having vanished, and at least one that changes. If Barry figures out how to travel through time, the first thing he's going to do is try to save his mother. And if he manages to do that, then there's a strong argument to be made that young Barry would never grow up to be the Flash and that whole timeline collapses into a huge, messy paradox. Imagine if Batman went back and saved his parents and Bruce Wayne grew up as a happy, not-at-all-fucked-up kid. So my guess is that Dr. Wells is trying to make sure that things happen the way he remembers them happening. When that means helping Barry, he helps him. When that means hurting him, as in making sure his mother dies, then he hurts him. Wells could be future/alternate Barry and making sure Professor Zoom/Reverse Flash comes to be. I'm not advocating for that but the only things we can be sure of are that Wells has some sort of plan, knowledge/insight into future happenings, and seems to be vested in making things happen for the yellow speedster. The biggest uncertainty is why. We've seen that Wells seems unlikely to be at all similar to this Barry if he is a Barry since he had no insight into Barry's friends being good for him/his development, but could he be a very different alt? Mind-wiped by Grodd? There's all sorts of hand-wavyness that could happen. As far as how many speedsters there are, at times in the DC universe there have been going on 10 operating at a time. So *shrug* I think that would be crowded for a tv show but they have a lot to mine from. Jay Garrick, Max Mercury, Jesse SomebodyIcantremember, Bart Allen, Wally West, etc ongoing. Yeah, another vote here for, "Just because Wells has the suit doesn't mean he's Reverse Flash." Wells and his motivations and the depth (and cause) of of his knowledge about whatever may or may not happen in the future are still largely a mystery to us as viewers. Heck, for all we know, he's not even a time-traveler - so far all we've seen is him getting information about the future in his secret room, with absolutely no explanation as to how he gets that info. Maybe the whole room is an AI that can see potential future timelines while remaining firmly rooted in the present. Who knows? Yeah, it's getting increasingly hard to buy these fight scenes. You just read a huge scientific paper in seconds, would it be so terrible to take a microsecond to think things through? The police apparently forget that they have guns which is balanced by the villains neglecting to hit them in the legs below the shields. Barry blowing off Cold and henchman to focus on training and then never actually doing any training was pretty good though. You know, I would love a show that was like, D&D players get superpowers, and they are awesome at tactics and avoid all the common tv tropes because their dungeon master ran something just like it. The police apparently forget that they have guns. This. The bad guys announced where they were going to be and don't have any kind of magical invulnerability or super-speed/reactions. The simple fact is the police could have ended it all with a couple of flash-bangs and a rush (or if this was grimdark Arrow more likely with a police sniper's bullet through the head).